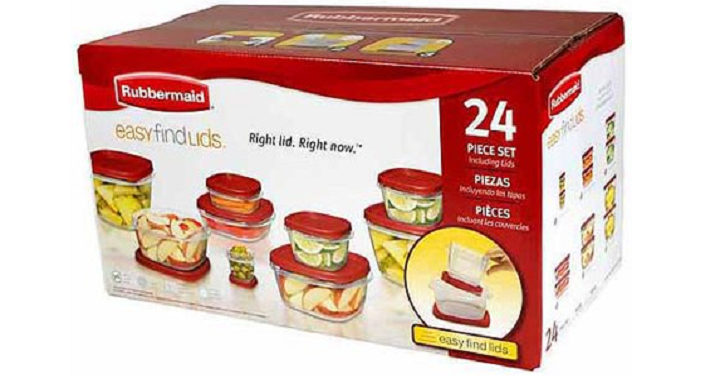 Rubbermaid Easy Find Lids 24 Piece Set Only $8.98! Great for your home lunches! Get the Rubbermaid Easy Find Lids Food Storage Container Set 24 Piece Set for only $8.98 right now at Walmart! these meal prep containers are easy to organize and help conserve space in your cabinets. The lids snap to each other and to the bottom of the containers.